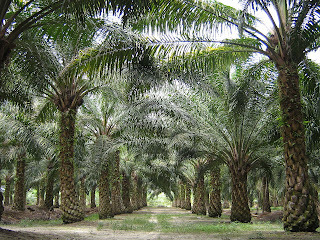 Ailey Mae's Blog: Palm Oil...Bad AF! Palm oil - you may or may not have heard of it, but it is definitely something everyone should be aware of. Recently we watched the new Leonardo Di Caprio documentary, Before The Flood, and while we were aware of the damaging environmental impacts of palm oil production before, this documentary really hit home and made us want to reach out and write about what is becoming a real concern for all of us. We are only just scratching the surface of a very complex problem in this post, we could bang on about this all day but instead if you would like to know more we would urge you to click any of the links at the bottom of the page and read more on this subject. Ok, Palm Oil…What Is It? 66 million tonnes of it are produced annually, accounting for 30% of the world’s vegetable oil production. It is the second most commonly traded vegetable oil in the world after soy, but what actually is it? 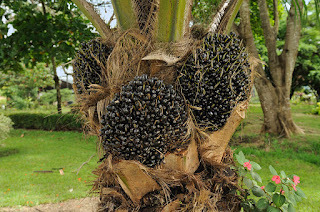 Palm oil is an edible, high saturated fat vegetable oil derived from the pulp of the African, American and Maripa oil palms and is grown exclusively in the tropics. Archaeological evidence shows humans have been using it for over 5000 years and it is still a common cooking ingredient across Africa, Southeast Asia and Brazil. It has seen a huge surge in usage recently, imports into the US have skyrocketed 485% in the last 10 years, on account of it offering a far greater yield at a lower cost of production than any other vegetable oil. Because of this growth, vast areas of rainforest in Southeast Asia, Africa and Latin America are being cleared for its production, and it’s in this rapid deforestation where the problems lie. Palm oil has a number of uses most commonly as an ingredient in foods, cosmetics, soaps and detergents. A staggering 50% of the products sold in supermarkets today contain palm oil, everything form ice cream to frozen pizzas to toothpaste, body creams and candles. 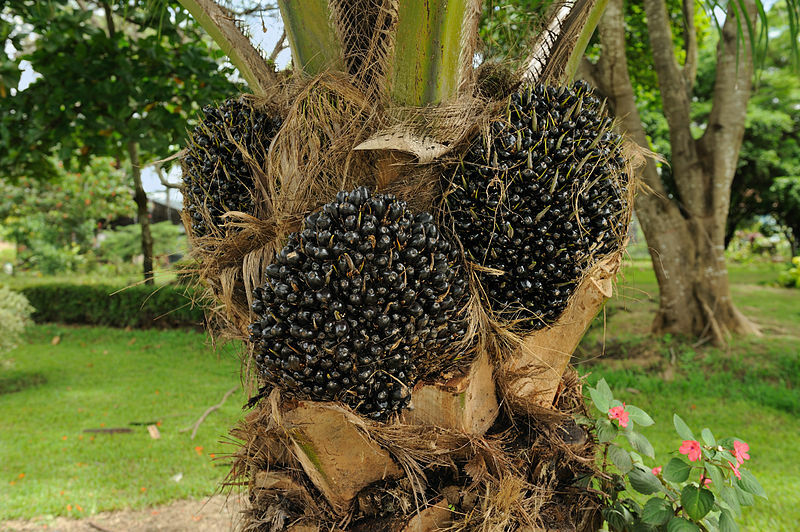 It is also now seeing increased usage as an ingredient in bio-diesel and as a fuel to be burned in power stations, in fact, almost half of the palm oil imported into Europe is used as a biofuel. Ok, before we get into this, we don’t want this to be just another depressing humans-are-awful-and-there-is-no-hope-for-us type of post. There is plenty that we can do collectively to turn this problem around (see “What Can We Do?” below for some examples) but first we have to address the problems. Ecosystem Destruction - Around 90% of the World’s oil palm trees are grown on only a few islands in Malaysia and Indonesia, this has led to large scale deforestation and the clearing of carbon-rich peatlands to make way for these industrial plantations. Demand is now so high that despite 10 million hectares of Indonesia’s 22.5 million hectares of rainforest having been converted to palm oil production, a further 1 million hectares per year are still being cleared. This is not an issue solely affecting Southeast Asia - areas in Africa and Latin America are also now being cleared to make way for new oil palm plantations. With demand expected to double by 2030 and triple by 2050 this is an enormous problem. Loss Of Biodiversity - These areas of rainforest, once rich in biodiversity, are decimated and replaced with monocrop oil palm plantations, creating areas referred to as green deserts. These green deserts now cover 27 million hectares of the Earth’s surface, an area equivalent to the land mass of New Zealand. Endangered species such as Sumatran elephants, tigers, rhinos and orangutans which rely on these rainforests for their survival are being pushed ever closer to extinction as the demand for palm oil destroys more and more of their natural habitat. Over 90% of the orangutan’s natural habitat has already been destroyed in the last 20 years alone. If the current rate of habitat loss continues unabated we could see the extinction of the orangutan in 5-10 years, Sumatran tigers could be extinct in 3 years. Loss Of Livelihood - 100 million people in Indonesia rely on the rainforests and peatlands for their livelihood and survival. The clearing of these ares by the palm oil industry strips them of the natural resources - food, shelter and water - they need for survival. Environmental Impact - Rainforests and peatlands act as carbon sinks, capturing carbon form the atmosphere and storing it away. To clear the rainforests, growers will often set them alight, a process known as slash and burn. As they burn they release huge stores of carbon dioxide into the atmosphere. So much burning takes place that estimates for Indonesia put the figures for the carbon release from deforestation at 80% of the country's total carbon output, placing it 3rd in the table of the World’s largest carbon polluters. The smoke from these fires also has huge health consequences for the people of Southeast Asia as well as affecting the growth of the oil palms and other crops. The use of palm oil as a bio fuel is also of great environmental concern, with higher CO2 and methane emissions, it has three times the climate impact of traditional fossil fuels. Forced Labour And Land Conflict - The palm oil industry is ranked in the top 4 worst industries for forced and child labour by the U.S Department of Labour. Indigenous people who have inhabited the forests for generations are often brutally forced from their land. Currently in Indonesia alone there are over 700 land conflicts related to the palm oil industry. Read the label - EU regulations require all food to be clearly labelled with all ingredients listed. Cosmetic products sometimes disguise palm oil with other names such as palmate, palmitic acid, palm stearine etc.. If in doubt you can check the manufacturer’s website or better yet, look for an alternative product. Cook Meals From Scratch - We know it isn’t always easy to find the time but this is a definitive way to ensure that palm oil isn’t present in your food. Speak Up - Don’t be afraid to talk about it with people, sign petitions, write to companies asking them where their palm oil is sourced from. The more we do, the better the chance we have of creating a shift in the right direction. Vote With Your Wallet - Big businesses put profit first, so there is no louder message to send to a manufacturer that you question their use of palm oil than when you reduce the amount of their products you purchase. We will be the first to admit that we have found it tricky to navigate our way round the supermarket avoiding palm oil containing products but the fact there are literally tens of thousands of products out there now has meant there is usually a palm oil free alternative. Where there isn’t an alternative we choose not to buy anything, this of course means that some of our favourite products have had to go by the wayside but looking at the bigger picture this has proven a small inconvenience. 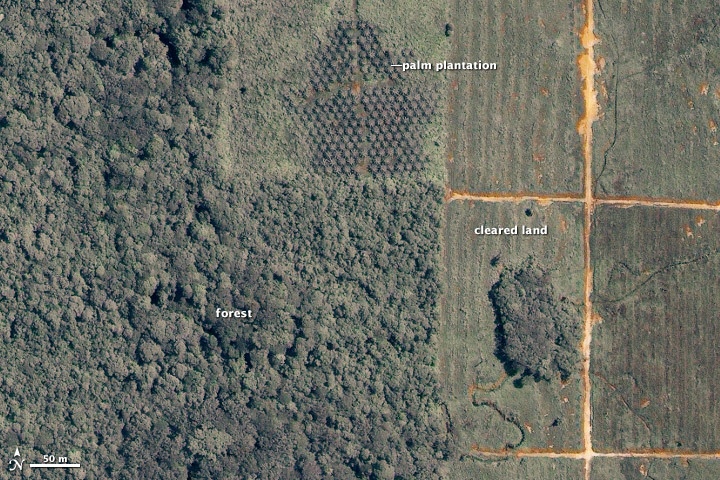 Sustainable Palm Oil - This is where things get more contentious. The Roundtable on Sustainable Palm Oil (RSPO) is a multi-stakeholder, non-profit group founded in 2004 with the objective of "promoting the growth and use of sustainable oil palm products through credible global standards and engagement of stakeholders". Sounds great, however, claims that the RSPO are slow to react or take no action at all when companies breach the guidelines do nothing to inspire confidence in an industry already carrying such a large environmental burden. There's no denying that there are options available for sustainability. Using land that has previously been degraded as opposed to clearing any more rainforest is a step in the right direction. Companies, such as Ikea, are already making pledges to only source their palm oil from such plantations, however, only time will tell if they practise what they preach and whether other companies agree to follow suit. Until then we have to come to the same conclusions as many - while buying products that state that any palm oil used in their production is from sustainable sources may be a good option, cutting down our consumption dramatically is the best course of action right now. We all have to start taking ourselves to task over this, this is not somebody else's problem, it's all of our problem and only we can fix it. And we can fix it. So Do You Guys Use Palm Oil In Ailey Mae Products? Nope, never have and never will. ©AileyMae'sRawChocolate. Simple theme. Powered by Blogger.